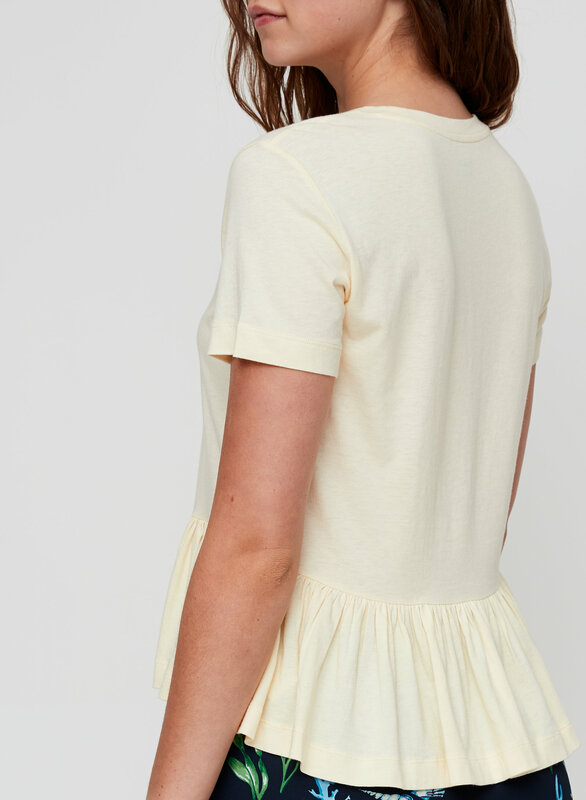 This tee is made with a soft cotton-modal jersey that drapes beautifully. 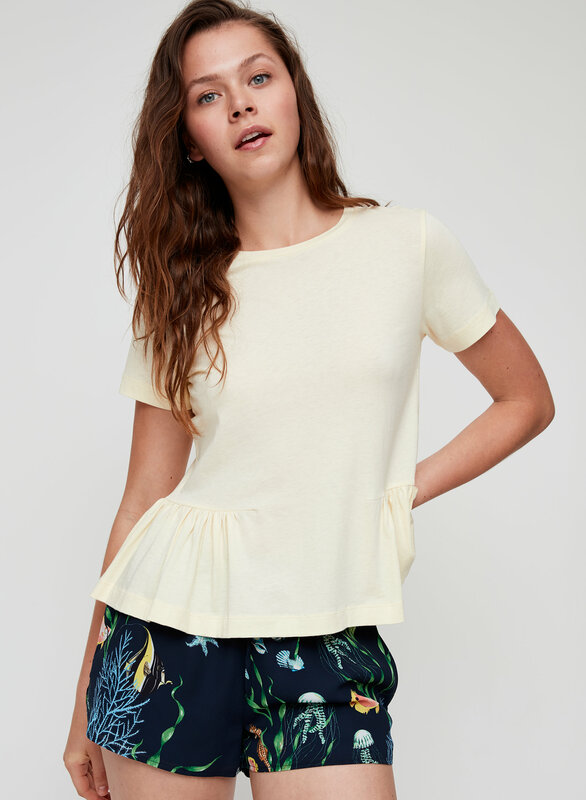 The peplum bottom puts a feminine twist on this classic crewneck. The fit was big. Had to go one size down from my usual size. Great fabric, soft and not too thin. I like that it has a more cotton feel. Great style. 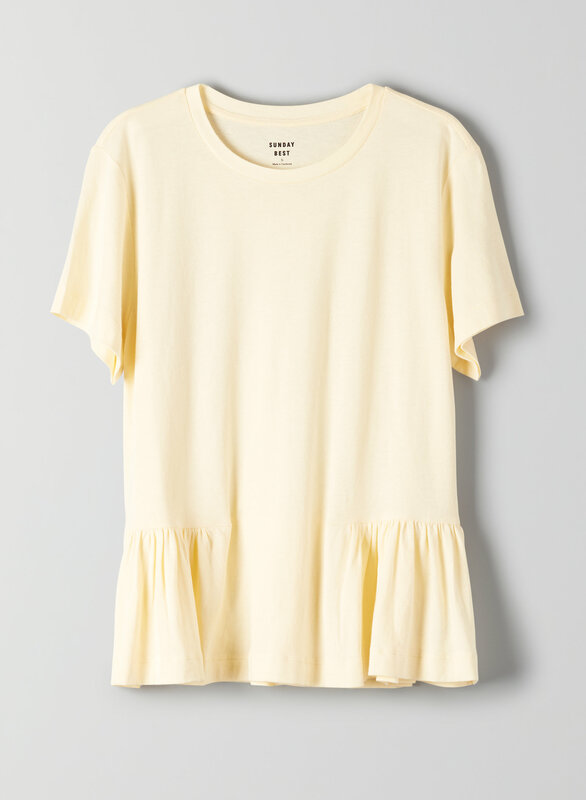 The shape of the sleeves, and neckline, feel like a basic and the ruffles add a feminine shape and dress up the style. 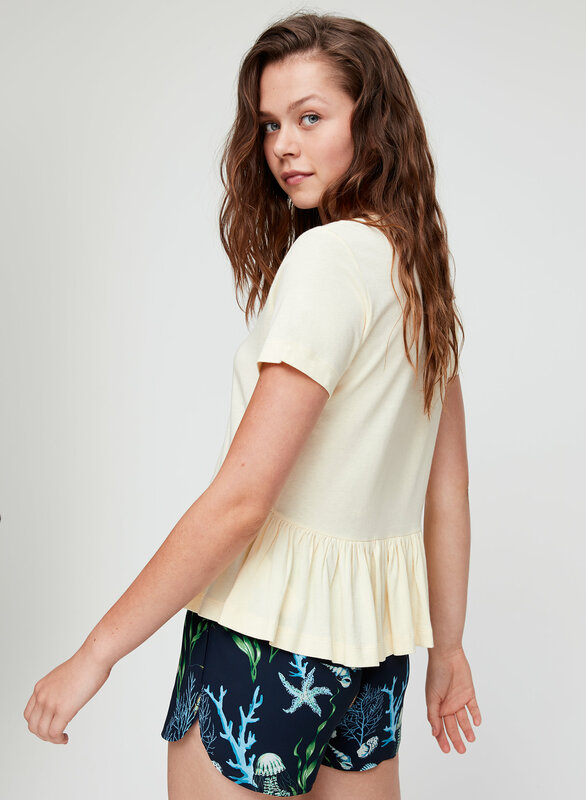 Ruffles make it a pretty basic that I can throw on and run out to do errands and then go for brunch with friends. Love it! Bought it in 3 colors! Would definitely recommend to friends.